When I hear the word “thrive” used in the context of struggle, there’s a part of me that feels resistant. Skeptical. “Thrive” can sometimes imply that we should be happy-joyful-awesome no matter what kind of painful crisis we’re navigating. The word can feel flippant, invalidating, and naive to those who are really hurting. So, Dusty, why in the world would you call you practice Thrive (in)Fertility? A desire to go beyond simply existing in the waiting room of infertility hell. A longing to move beyond feeling like they’re just barely surviving. They want to feel resilient, to reclaim joy in daily life, and to be able to thrive in the midst of the current pain. The pure definition of "thrive" perfectly captures the overall mission of my practice and what my clients strive to experience. And I’ve seen time and again that it’s fully possible to achieve it! What does thriving during infertility look like? Take a moment to really imagine what the experience of infertility would be like if you were able to achieve even half of what's on these lists. Feels like such wonderful relief, right? But then the cynicism barges in, telling you that it's impossible. It is indeed impossible to eliminate all the pain of infertility. Loss is loss, and it’s gut-wrenchingly painful no matter what. But after counseling hundreds of women and couples, implementing the principles of proven research, and witnessing first-hand the power of the techniques I teach, I know it is possible to significantly reduce (and often put an end to) the causes of secondary suffering that often makes up the bulk of our painful experience. If you can find the faith to trust me, I will show you how. In Scott Adams' book, How to Fail at Almost Everything and Still Win Big, teaches that goals are a reach-it-and-be-done situation where you exist in a perpetual state of failure that you hope is temporary. Whereas a system "is something you do on a regular basis with a reasonable expectation that doing so will get you to a better place in life." Goal: I’m going to become and stay pregnant this year. System: I’m going to implement daily practices to help me feel as healthy as possible emotionally, physically, socially, and maritally as I navigate this crisis, and that serve me forever, no matter the outcome. Infertility feels like an assault that we cannot control or defend against. It is unfair and can often put us into a state of passivity, leaving us with a victim mentality. But this position steals your power and must be challenged. 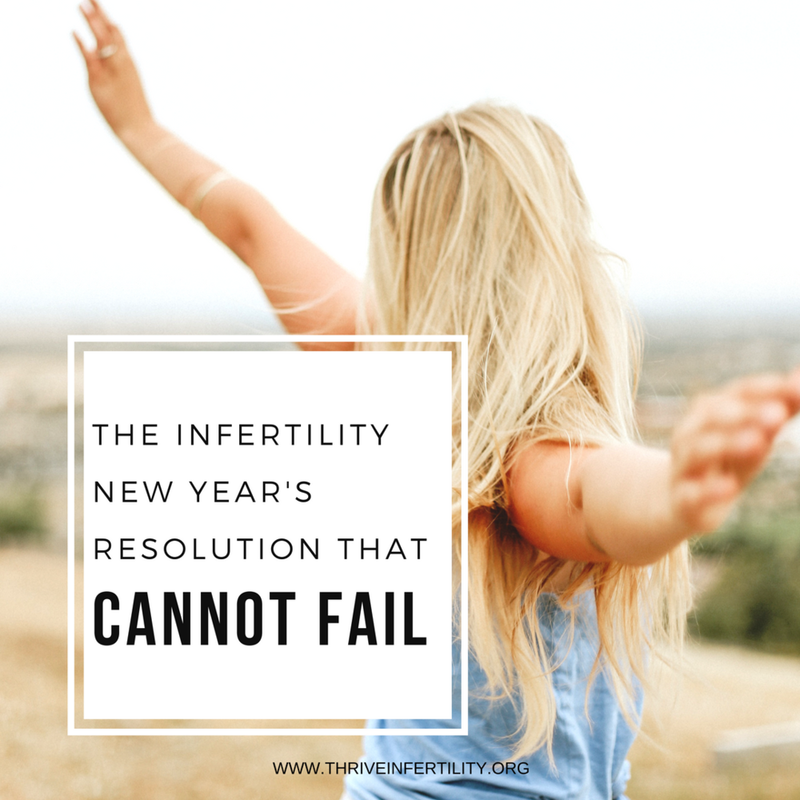 Yes, there is much of the infertility experience that you cannot change, but trusting that you have the ability to both contribute to and/or reduce your suffering is essential to transforming the way you feel. The skills needed to gain more resiliency and control over your mind, emotions, body, and relationships are like muscles that need to be built up. Experiencing real change in these areas requires a commitment to learning and PRACTICING these new approaches. In future posts I will be breaking down each of these areas to educate you on the simple and powerful ways in which you can begin to thrive. Sometimes when I go through a period of struggle I find that a little symbolism can be helpful. In this case let’s consider the dandelion, that magical wish giver from our childhood. Did you know dandelions are considered masters of survival? These dainty little wildflowers can take root in the most desolate places, often shoving their way though rock and cement, easily thriving in barren habitats. This is why I use the dandelion in my logo. Like these flowers, we too can grow in the most unlikely of places. We too can be impossible to destroy. We too can thrive in barren lands. Need a more personalized, deeper level of support? Don't hesitate to reach out. I would love to work with you one-on-one!